High Cholesterol Diet For Building Muscle: Is It Safe? Is it safe to eat a high cholesterol diet to build muscle? In my video "Old School Post-Training Nutrition" I cited research providing evidence that a high cholesterol diet may help build muscle. However, due to widespread belief in the lipid hypothesis and the cholesterol scare, some people wonder whether it is smart to "sacrifice" low serum cholesterol for the sake of building muscle mass. Some of these people suggest that increasing muscle mass has little or no benefits for health or life expectancy, and thus suggest it is irrational to trade cardiovascular health for what they believe is a merely cosmetic change to one's physique. Are they right? up to some yet to be determined level at which the dose-response effect plateaus, more serum cholesterol might mean more ease in gaining muscle. But aren't high cholesterol intake and serum high cholesterol detrimental to cardiometabolic health? Is it smart to sacrifice the benefits of low cholesterol levels, presumably achieved through a low cholesterol diet, for a potential gain in muscle? Is A Low Cholesterol Diet Really Good For Cardiometabolic Health? For more than 5 years prior to May 2017, I ate an animal-cholesterol free vegan diet. Beginning mid-May 2017, I switched to an animal-based, very low carbohydrate, high fat (VLCHF) and high cholesterol diet, including up to 12 whole eggs in my daily diet. About 60 days before and 30 days after starting my VLCHF diet experiment, I had my lipid levels tested. I did the test 30 days after starting the VLCHF diet mainly out of curiosity because I was pretty certain they would rapidly elevate once I started eating a high cholesterol diet after more than 5 years on an animal-cholesterol free diet. Eating a cholesterol-free diet causes the body to up-regulate hepatic cholesterol production and enterohepatic cholesterol conservation to keep serum cholesterol levels from falling below minimal levels necessary for metabolic function. Hence it is expected that blood cholesterol levels will increase dramatically in individuals who resume consuming high cholesterol animal products after having adapted to a vegan diet for a long period of time. My cholesterol increased to the highest level I have had on any previous blood test ever at the end of the first month of my post-vegan diet, VLCHF experiment. I should mention that during the 2 weeks leading up to this blood test I was consuming 6-10 whole eggs every day. The total cholesterol was 419 (up from 154 at my last vegan blood test), and the LDL went up to 293 (from 78 at my last vegan blood test). In short, it is better to have a low LDL particle number with high TC than to have a low LDL serum concentration with a high LDL particle number. At my last vegan blood test, my triglyceride to HDL ratio was 78:60, i.e. 1.3. After 30 days of LCHF and 14 days of eating 6-10 whole eggs daily, the same ratio was 78:110, i.e. 0.71. While we do not have established standards for the Trig:HDL ratio, the higher the ratio, the more likely the individual has the more dangerous small/dense LDL particle size. Thus, my LDL particle number (and hence cardiovascular disease risk) was likely higher when I was vegan than after 30 days of eating a very high cholesterol VLCHF diet. My cardiovascular disease risk probably declined even though my total cholesterol and my LDL dramatically increased on my high cholesterol diet. The changes in my lipids also suggest that I was correct in my hypothesis that while eating vegan I was exhibiting a mild case of hyperinsulinemia. By the way, my phosphorus also went up from the previous low of 2.2 at my last vegan blood test to 2.4, still below the normal range. I mention this because it indicates that my low phosphorus was most likely due to the vegan diet, and only partly recovered after a month of eating animal products. Also, my last vegan blood test found that I had a globulin level (1.6 g/dL) significantly below the normal range (2.0-3.7 g/dL), which may have indicated protein deficiency, despite the fact that I was eating a high protein vegan diet usually including 8 ounces of tofu and a couple of cups of cooked legumes daily. According to vegan diet promoters, it is impossible to become protein deficient on a plant-based diet. I don't know how they will explain my results. One month of consuming animal products daily increased my globulin level to 2.3 g/dL. Of interest, my last vegan blood test found an iron level of 131; after 30 days on HFLC, it decreased to 93. This is interesting given that some people hypothesize that high serum iron presents a risk factor for mortality. Apparently in my case eating a diet high in meat, eggs, and fat produces a lower serum iron level than eating a vegan diet. I expect that my total and LDL cholesterol levels will decline after some time on this high cholesterol diet, probably to levels I experienced previously on animal-based diets (as low as 180 mg/dL), as my body adapts to the high cholesterol intake by down-regulating hepatic production and enterohepatic conservation of cholesterol, and up-regulating production of cholesterol products, such as bile, testosterone and vitamin D.
But isn't there just overwhelming evidence that high cholesterol will shorten your life? One of my high cholesterol breakfasts. Is it a "heart attack on a plate"? I doubt that either high cholesterol diet or elevated serum total cholesterol in and of themselves increase the risk for cardometabolic disorders, particularly for individuals in my age bracket who like me do not smoke, have low body fat, and significant muscle mass. Here’s why. I doubt that low serum cholesterol in itself has benefits for all cause mortality. Critical reviews of some of the key studies commonly claimed to support the need for dietary or serum cholesterol reduction have shown that these studies do not support the conclusion. Uffe Ravnskov M.D., Ph.D., author of more than 50 peer-reviewed articles critical of the lipid hypothesis, as well as the book The Cholesterol Myths (available free to read or download here) has reviewed a large body of research that indicates that people who have high cholesterol have the lowest total mortality risk and live longest. Some studies showing a link between total cholesterol and heart disease mortality nevertheless find that low cholesterol levels correlate with higher all-cause mortality. These are only a few of the peer-reviewed published studies reviewed by Ravnskov in his peer reviewed published papers critical of the lipid hypothesis, and in his book The Cholesterol Myths. The mass of data indicating no real benefit to low cholesterol and either no real harm or real benefit to eating and having high cholesterol is too large to review here. 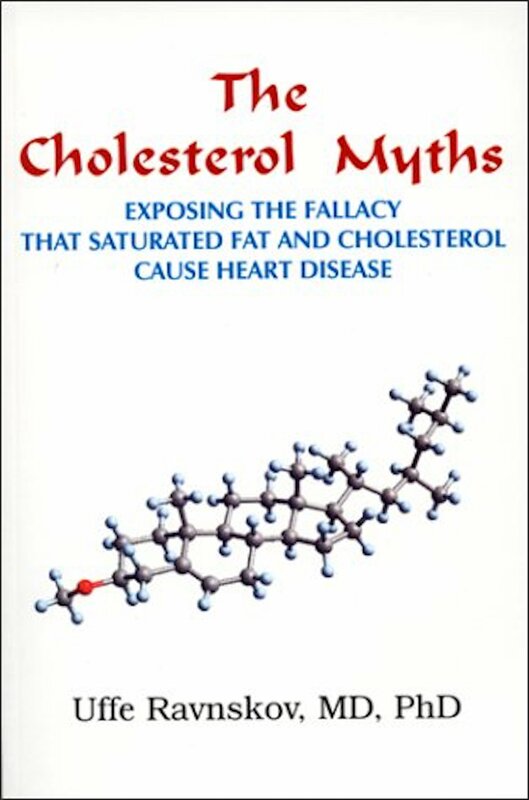 Truth seekers should read Ravnskov's published papers or his summary of them in The Cholesterol Myths which as I already noted is available to read at no cost online. "...half of the patients with a history of heart disease had LDL cholesterol levels lower than 100 mg/dL, and 17.6 percent of patients had LDL levels below 70 mg/dL, which are guideline targets for LDL cholesterol in those at fair risk and at high risk for cardiovascular disease, respectively. "The study also showed that HDL cholesterol, or 'good cholesterol,' levels have dropped in patients hospitalized for heart attack over the past few years, possibly due to increasing rates of obesity, insulin resistance and diabetes. According to the UCLA team "Developing more effective treatments to boost HDL levels may help reduce the number of patients hospitalized for heart attacks." Well, in fact we already have such treatments. Two very effective ways to raise your HDL levels include to eat a carbohydrate-restricted diet including 3 eggs daily27, 28,29 and to increase your intake of saturated fats.30, 31 In contrast, eating the low fat diet commonly recommended for cardio metabolic health actually decreases HDL.32 As I discussed above, I nearly doubled my HDL in just 30 days by switching from a low fat vegan diet to a VLCHF diet containing more than 6 eggs and plenty of saturated fat daily. 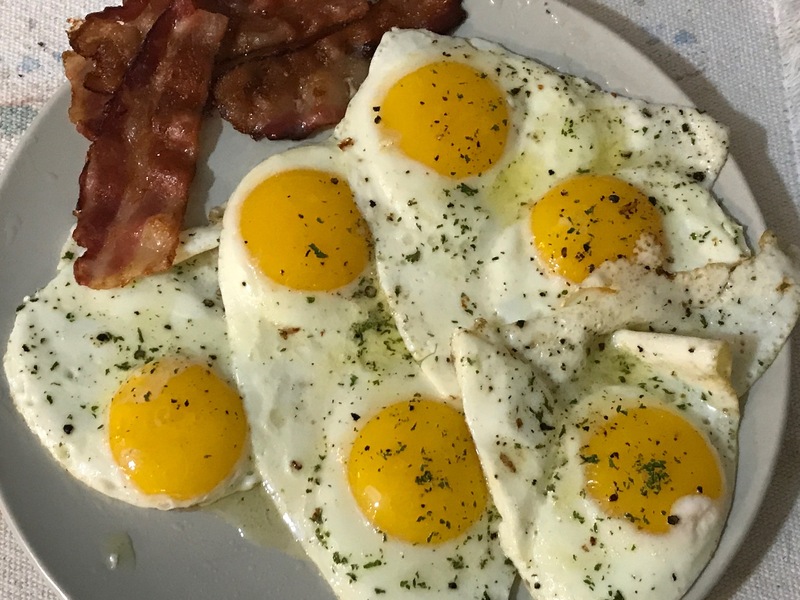 The problem is, eating eggs and saturated fats to raise HDL contradicts key ideas in and recommendations flowing from the lipid hypothesis, namely that dietary eggs, cholesterol and saturated fats are what cause coronary heart disease. 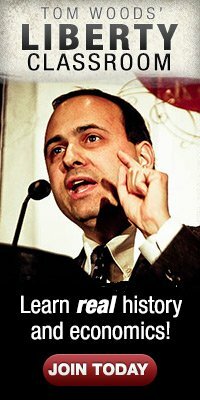 Hence a supporter of the lipid hypothesis can have in front of him the fact that people who have low or even "ideal" total cholesterol and LDL concentrations form 50-75% of heart attack patients, and know that raising HDL would likely be beneficial, but he is incapable of recommending the dietary pattern that would raise HDL because doing so would contradict his faith in the lipid hypothesis, so he goes on recommending the low fat diet that has been proven to produce the low HDL that he believes must be reversed. It should be noted that this study (full text here) was supported by an unrestricted education grant from Merck Schering Plough Partnership. The authors themselves received grants from AstraZeneca, GlaxoSmithKline, Merck, Sanofi-Aventis, Schering Plough, and Pfizer. All of these companies are making billions of dollars annually on sales of lipid-reducing drugs. The paper itself in some paragraphs reads like a promotional brochure for “lipid-lowering therapy.” The authors claim that LDL contributes to atherosclerosis and that on the basis of their findings physicians should be more aggressive in pharmaceutical reduction of LDL and TC. But I am sure that their motives, claims and recommendations are all pure as the driven snow. They wouldn’t be promoting lipid-lowering because they have a financial interest in drugs for lipid lowering would they? The UCLA researchers concluded that "the current guidelines may not be low enough to cut heart attack risk in most who could benefit." Right. Translation: When something isn't showing signs of providing the benefits you expect of it, do more of it, to a greater extreme; hopefully then it will work. This, as some have noted, is the definition of insanity, but it is a necessary conclusion for anyone who refuses to question the validity of the lipid hypothesis. In philosophy of science, it is recognized that when people who strongly believe in a research paradigm or theory encounter anomalous data, they will generally cling to the theory and either deny or rationalize the data with ad hoc hypotheses. Their adherence to the theory literally makes them cognitively blind to contradictions and alternatives. In this case, the theory is that high dietary and serum cholesterol promotes and low serum cholesterol will prevent heart attacks; the hard data suggest that it doesn't prevent heart attacks or reduce total mortality, and that many people with high cholesterol don't have heart attacks; the ad hoc theory is that the cholesterol-lowering approach didn't work because it didn't lower cholesterol enough, which rationalizes the finding that 50% or more of heart attack patients have low cholesterol (including low HDL), and ignores the data showing that people with lower cholesterol have higher risks of non-cardiovascular disease mortality that renders any presumed cardiovascular benefit null. When I consider the body of evidence Ravnskov reviews along with the fact that 50% of heart attack patients have low LDL and low HDL, hence low TC, I conclude it is likely that the correlation of high cholesterol with cardiovascular risk is spurious. Most likely, those younger people who have both high cholesterol and high cardiovascular mortality risk – well-known to be mostly males – are most likely also doing or subject to something else – e.g. smoking, eating lots of sugar (see below), high blood pressure, high stress employment (e.g. corporate job) or unemployment, hazardous environment (e.g. war, crime) or employment (e.g. deployed soldier, police officer, coal miner, steel worker, etc. ), divorce or loneliness,33 or some other factor which increases their cardiovascular disease risk, and their high cholesterol just so happens to be at the scene of the crime or may even be caused by these other factors. From the above, I conclude that even if by maintaining a low total or LDL cholesterol level (and ignoring LDL particle size) I could prevent death from heart disease, I might in this effort increase my risk for any other type of death, thereby outweighing the putative cardiovascular risk reduction. When I then consider that particle number (LDL-P) is far more important than TC level (see above), and my lipid profile with a high total and LDL cholesterol also indicates a low LDL-P, I can see no reason to strive for a low total cholesterol level. Since there appears to be no overall mortality benefit to having a low serum cholesterol level, I see no rationale for aiming for a low total cholesterol level and avoiding high cholesterol. Some evidence suggests high cholesterol diets present little risk if they produce a low serum LDL particle number. "Pfizer’s Lipitor was the world’s top-selling medicine last year, according to IMS, raking in sales of $13.3billion. AstraZeneca’s Crestor, which garnered $5.38billion in sales during 2009, is one of the company’s best selling medicines." Obviously these corporations have a strong interest in perpetuation of the lipid hypothesis and the idea that reducing cholesterol is beneficial. 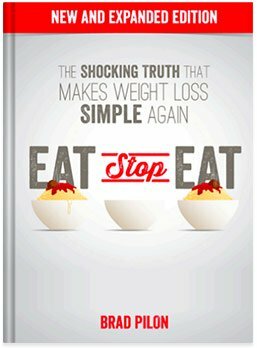 Regarding my earlier allusion to the dangers of high sugar consumption, it is also worth noting that historical research indicates that, beginning in the mid-1960s, after substantial evidence had accumulated implicating sugar consumption as a factor promoting heart disease, the sugar industry paid Harvard “nutrition scientists” to demonize fat and cholesterol and extol the virtues of sugar. It appears that their money was well-spent because the influence of these Harvard "scientists" deflected attention away from the link between sugar and heart disease and firmly established the poorly substantiated idea that animal fats and cholesterol, which our ancestors had eaten freely for literally millions of years, were to blame for a supposedly sudden increase in cardiovascular mortality in the early 20th century, not the surge of sugar intake which as a matter of fact was the historically and evolutionarily novel influence on human health. This raises the important question as to whether high blood pressure is a more important promoter of atherosclerosis than cholesterol in the diet or blood vessels. Mechanically speaking, prolonged high blood pressure is expected to damage arteries, whereas it is highly improbable that phospholipids (regardless of particle size) can in and of themselves mechanically or chemically damage arteries. 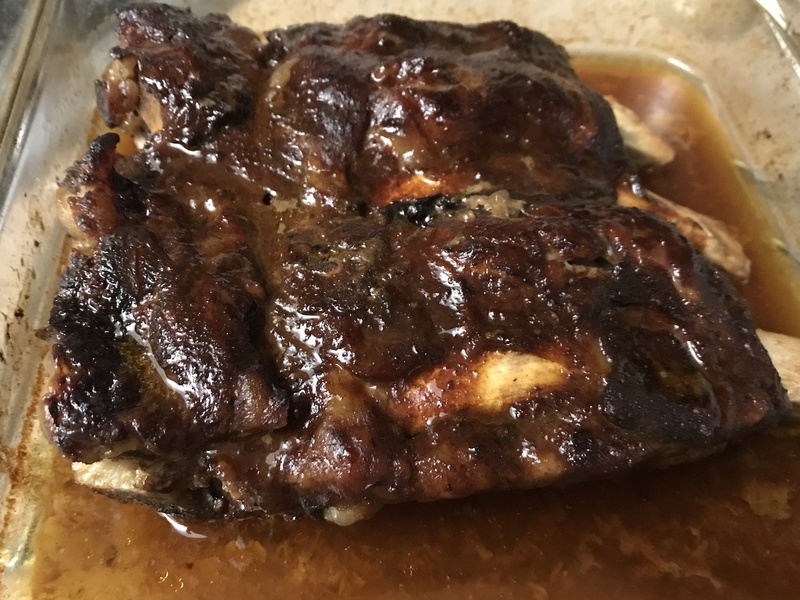 Sticks to your ribs, not your arteries. Regarding muscle mass, proponents of low fat, low animal protein diets seem to think that developing muscle mass and strength has no health or mortality benefits, and suggest that anyone who eats more animal protein and fat in pursuit of increases in muscle mass is irrationally seeking mere cosmetic changes at the expense of cardiovascular health and longevity. In fact, whereas there is a lack of evidence that reducing your serum cholesterol will increase your life expectancy, there is a strong inverse relationship between muscle mass and strength and all-cause mortality in both men and women, and both muscle mass and strength are independent predictors of longevity. There exists considerable evidence that neither high cholesterol diets nor high serum cholesterol increase all-cause mortality risk, and also that low serum cholesterol does not reduce but may increase all-cause mortality risk. These facts cast serious doubt on the idea that there are any real health and longevity benefits to low serum cholesterol levels, particularly in older individuals, that anyone can be said to “sacrifice” by eating high cholesterol foods or having so-called high cholesterol in the blood, particularly if one has a low triglyceride to HDL ratio and low blood pressure. On the other hand, I have never seen and do not expect to ever see a study suggesting that low or loss of muscle mass is beneficial to health or life expectancy. 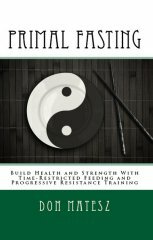 Natural selection has for millions of years favored longer life for strong and muscular men and women because in our natural habitat those who are strongest and fastest will be most successful at obtaining food and avoiding becoming food. Considering that muscle wasting is characteristic of ageing and inexorably leads to immobility, which characterizes death, I consider it smart to “sacrifice” lower serum cholesterol levels of dubious value for an increase in muscle mass of proven value, if indeed it is necessary to do so. Conversely, I can't justify undertaking any dietary steps that might sacrifice muscle mass and strength, which are certainly of proven high value, in order to produce lower serum cholesterol levels that have dubious value. Like all other animals, humans have direct experience of the effects of foods on their well-being. As in other species, our senses of sight, smell, taste and satisfaction have the purpose of guiding us to select the foods that best support health. 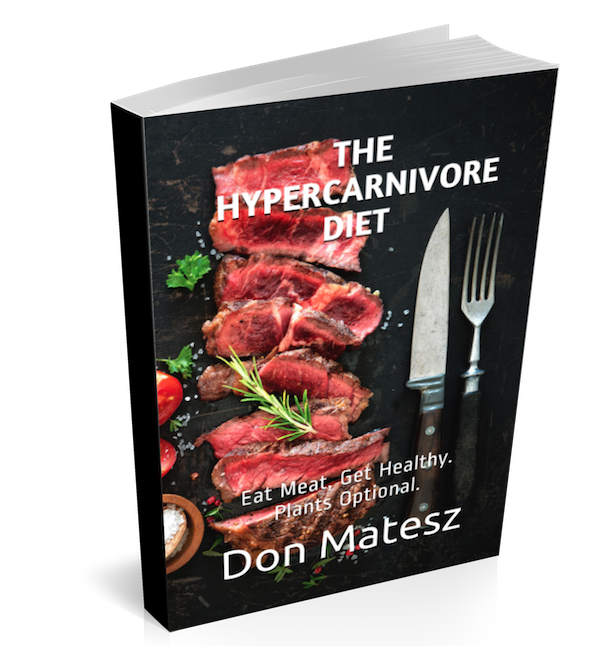 Our ancestors succeeded for more than 2 million years by following this built-in guidance system to select the foods that best supported health and fitness. They never used lab tests to make dietary choices. I suggest that no one needs to know his or her lipoprotein profile to live a healthy and long life. On the other hand, for health and strength one must eat as one has been by natural selection designed to eat, and if you exclude from your food choices anything that is present only because of human artifice, your Inner Guidance System (senses of sight, smell, taste and satisfaction) will guide you to that species-appropriate diet – as it does for all other species. The Gods35 have not made fools of us, we have made fools of ourselves by trying to usurp the Gods. I would also suggest that if you choose how to eat in order to manage your lipid profile according to some fallible human's hypothesis, while ignoring the guidance given by your True Nature – your senses of sight, smell, taste and satisfaction – you will likely suffer undesirable consequences until you follow that guidance. I find the idea that blood tests and nutritional theories only recently developed by fallible human minds provide us with better guidance toward a healthy diet than integrated biological systems that have survived millions of years of natural selection quite comical and absurd. Like modern man's stupid attempt to 'improve' on natural foods by refining and genetic tinkering, the undue respect given to the dietary hypotheses based on blood tests is another of the many evidences of modern man's immense hubris and defiance of Nature and the Gods. As our Asatru ancestors have warned for millennia, indulging such hubris always leads to premature demise. 1. Riechman SE, Woock Lee C, Chikani G, et al. Cholesterol and Skeletal Muscle Health. World Reiview of nutrition and dietetics 2009 Feb;100:71-9. 6. McNamara JR, Jenner JL, Wilson PW, Schaefer EJ. Change in LDL particle size is associated with change in plasma triglyceride concentration. Art Thromb Vasc Biol 1992;12:1284-90. 7. Tchernof A, Lamarche B, Prud'Homme D, Nadeau A, Moorjani S, Labrie F, Lupien PJ, Després JP. The dense LDL phenotype. Association with plasma lipoprotein levels, visceral obesity, and hyperinsulinemia in men. Diabetes Care. 1996 Jun;19(6):629-37. PubMed PMID: 8725863. 9. Lamarche B, Lemiex I, Després JP. The small, dense LDL phenotype and the risk of coronary heart disease: epidemiology, patho-physiology and therapeutic aspects. Diabetes Metabe 1999 Sep;25(3):199-211. 15. Kronmal RA, Cain KC, Ye Z, Omenn GS. Total serum cholesterol levels and mortality risk as a function of age. A report based on the Framingham data. Arch Intern Med. 1993 May 10;153(9):1065-73. PubMed PMID: 8481074. 16. Casiglia E, Mazza A, Tikhonoff V, Scarpa R, Schiavon L, Pessina AC. Total cholesterol and mortality in the elderly. J Intern Med. 2003 Oct;254(4):353-62. PubMed PMID: 12974874. 18. Wannamethee SG, Shaper AG, Lennon L, Whincup PH. Decreased muscle mass and increased central adiposity are independently related to mortality in older men. Am J Clin Nutr 2007 Nov;86(5):1339-46. 20. Srikanthan, Preethi et al. Muscle Mass Index As a Predictor of Longevity in Older Adults. The American Journal of Medicine 127(6): 547 - 553. 21. Volaklis KA, Halle M, Meisinger C. Muscular strength as a strong predictor of mortality: A narrative review. Eur J Intern Med 2015 June;26(5):303-10. 23. Rantanen T, Vopato S, Ferrucci L, et al. Handgrip strength and cause-specific and total mortality in older disabled women: Exploring the mechanism. J Am Geriatrics Soc 2003 April 29;51(5):636-41. 28. Schnohr P, Thomsen OO, Riis Hansen P, Boberg-Ans G, Lawaetz H, Weeke T. Egg consumption and high-density-lipoprotein cholesterol. J Intern Med. 1994 Mar;235(3):249-51. PubMed PMID: 8120521. 29. Mayurasakorn K, Srisura W, Sitphahul P, Hongto PO. High-density lipoprotein cholesterol changes after continuous egg consumption in healthy adults. J Med Assoc Thai. 2008 Mar;91(3):400-7. PubMed PMID: 18575296. 30. Hayek T, Ito Y, Azrolan N, et al. Dietary fat increases high density lipoprotein (HDL) levels both by increasing the transport rates and decreasing the fractional catabolic rates of HDL cholesterol ester and apolipoprotein (Apo) A-I. Presentation of a new animal model and mechanistic studies in human Apo A-I transgenic and control mice. Journal of Clinical Investigation. 1993;91(4):1665-1671. 31. Wolf G. High-fat, high-cholesterol diet raises plasma HDL cholesterol: studies on the mechanism of this effect. Nutr Rev. 1996 Jan;54(1 Pt 1):34-5. Review. PubMed PMID: 8919697. 32. Brinton EA, Eisenberg S, Breslow JL. A low-fat diet decreases high density lipoprotein (HDL) cholesterol levels by decreasing HDL apolipoprotein transport rates. Journal of Clinical Investigation. 1990;85(1):144-151. 33. Lynch JJ. A Cry Unheard: New Insights Into the Medical Consequences of Loneliness. Bancroft Press, Jun 15, 2000. 35. I use this term as did my pagan European ancestors, to refer to all the Powers of Nature, seen and unseen, which produce Reality.